From a tiny superhero and iron men to floating flowers and vintage cars, here’s our pick of the week’s best things to do. Sneek Week is a week of races on the lake of the Frisian town of Sneek. There are competitions for boats and catamarans in all classes, including Falcons, Rainbows and Ynglings. Among the races is the final of the championship for the typical Frisian sailing boats known as skütjes. Elsewhere in the town the entertainment includes street theatre, live music in cafes and outdoors, parades and a sand sculpture festival. 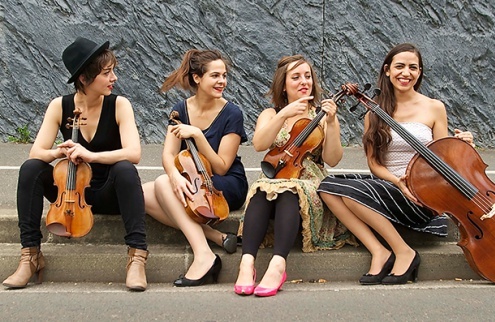 The French string quartet Zaïde was formed five years ago and the young women won first prize at the Haydn Competition in Vienna in 2012. They play Haydn’s first string quartet at this concert, but also works by Mendelssohn and Debussy. A major retrospective of the Rijksmuseum’s rich collection of costume and fashion prints showing the change in women’s and men’s fashion from the year 1600 up to and including the first half of the 20th century. The 300 prints trace the development of the fashion magazine into the fashion glossies of the present era. Having exploited all its best known superheroes, Marvel turns to one of its lesser known and smallest characters. However, putting Ant-Man (directed by Peyton Reed) on the big screen proves more problematic than is the case with Iron Man, Thor, the Hulk and Captain America. The story has Scott Lang (Paul Rudd), a burglar just released from prison for stealing from corporate crooks, agree to one last heist. Behind the heist is Dr Hank Pym (Michael Douglas), an aging scientist who wants the younger man to take up his mantle as Ant-Man, a superhero with a special suit that shrinks him to the size of an insect. Once Ant-Man has mastered the use of the suit, the heist is on. Darren Cross (Corey Stoll) is close to replicating Pym’s shrinking technology which he wants for nefarious reasons. Ant-Man must infiltrate Cross’s stronghold and steal back the technology. Ant-Man does have its moments of humour and emotion and the effects used for the miniaturised scenes are astounding. The final confrontation between Ant-Man and Cross, for instance, takes place on a tabletop toy railway. Rudd is fine as the straight guy who must get to grips with shrink-ray technology and transition into a hero, although he could have used some help from the script in the humour department. And Douglas has a whale of a time with the role of Pym. However, Ant-Man lacks the action spectacle of earlier Marvel films – perhaps because an ant army is less impressive than a full-size man with a magic shield or hammer. Hundreds of athletes from around the world and ranging in age from 18 to 80 take on the challenge of the triathlon. The 2.4 mile swim is in the river Maas and goes under the Provincial Government Building, which is partly built over the river. The 112 mile bike course follows the same course as the yearly Amstel Gold Race, with the Cauberg Hill in Valkenburg as the make-or-break feature. This is followed by a full 26.2 mile marathon run which takes in the Sint Pieter Hill in Maastricht and the Jeker valley (Jekerdal). The finish line will be in the historic city centre of Maastricht on the square in front of City Hall. 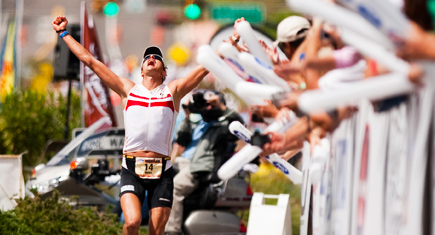 Ironman Maastricht offers 50 qualifying slots for the Ironman World Championship in Kailua-Kona, Hawaiï. There is a new Dutch production of The Sound of Music to celebrate the 50th anniversary of the film version starring Julie Andrews and Christopher Plummer, and it is the best stage version for some time in any language. It stars Anouk Maas as Maria and Ad Knippels as Captain Von Trapp. Most flower parades take place on motorised vehicles. But not in the Westland region of the Netherlands. Here the floats literally float. There are 50 of them covered with 450,000 flowers, 120,000 plants and 80,000 various vegetables and fruit. They sail away from the Trade Parc Westland in Naaldwijk and visit Delft, Maassluis, Midden-Delfland and The Hague over the three days of the event. The National Old Timers Festival features a wide selection of classic and vintage racing and sports cars which can be admired in the paddock or on the track during the demonstrations. The day also includes one paddock full of old and new Porsches and one with the best of British racing cars. Each year some of the world’s best musicians gather in Delft to play chamber music in unusual combinations. 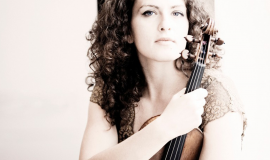 This year such luminaries as the Doric String Quartet, violinist Liza Ferschtman (photo), cellist Konstantin Heidrich, Cappella Amsterdam and bass-baritone Robert Holl perform music by composers ranging from Bach to Kalevi Aho, Haydn to Hindemith and Mozart to John Tavener. Alfonso Losa dances flamenco accompanied by his company which includes the singers La Fabi and El Zambuyo. Losa is recognised throughout the flamenco scene as one of the absolute talents of the current generation. He is a highly inspired dancer with an energetic and expressive style, who has modernised flamenco without ignoring its traditions.